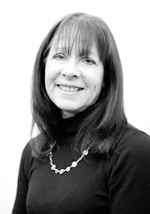 Hadleigh Counselling is run by Jenny Soper. She has been counselling both adults and young people for over 9 years and has a wide range of experience in working with people from all walks of life. I gained my Diploma in Person-centred Counselling in 2002 after completing a 3 year course at the Colchester Institute. Since then I have worked for Colchester Youth Enquiry Service and a mental health charity seeing GP referrals, as well as in private practice. I am an accredited member of the British Association of Counselling and Psychotherapy. I undertake regular professional development training, including child protection, and have regular CRB checks and I have trained as a counselling supervisor. What can you expect from your counselling sessions? I offer an initial 30 minute assessment session for £15. This gives us a chance to meet and have an opportunity to get to know each other and see whether we feel happy to work together. I am aware that you may be feeling a little anxious and I will do my best to reassure you and help you feel at ease. I provide a confidential and safe environment for sessions to take place and I will begin by explaining how counselling works and taking a few details from you regarding your GP, current medication etc. and then invite you to tell me something about what has brought you to the counselling room. At the end of our assessment, I will ask you how you feel about continuing. There is never any pressure or obligation to have further sessions unless you are happy to do so. If you wish to start counselling we would normally agree to meet for 6 sessions and then review whether to close or continue. Sessions usually last for 50 minutes and take place weekly. We would both sign a contract agreeing to meet on a regular basis and to inform each other of any breaks we would need (see the fees page for more information). Everything we discuss during our sessions is confidential unless we talk about risk of serious harm to yourself or others. In this case we would normally discuss disclosing this to someone such as a GP. I attend regular monthly supervision in which I discuss client issues but my supervisor is unaware of my clients’ identity. Supervision is important in order to keep both myself and my clients safe and supported. My person-centred approach means that you will always be in control of what you bring to the session. Counselling is about exploring our feelings and trying to make sense of them, not about giving advice. I have a fundamental belief that every client knows what it right for them and that my role is to facilitate you to access that knowledge and enable you to make changes. I believe that everyone is a unique individual and we are all special and of value and our work will be about building your self-confidence and belief in yourself and empowering you to make informed choices. Whatever difficulties you are experiencing it is reassuring and comforting to talk to someone who has an understanding of how you may be feeling.